Feeling the Varsity jacket look this Fall. Might just have to get one and do a little something to it to make it my own. These guys did it right in a few different. Here's what they had to say. "Made in San Francisco, California. - We teamed up with local sportswear company Golden Bear (est. 1922) on a new set of cotton varsity jackets. 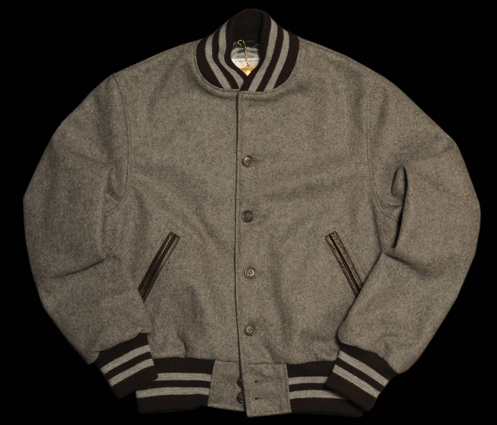 Made in San Franciscoâ€™s Potrero district, the jackets feature timeless styling with a contemporary twist featuring tartan plaid lining and leather pocket details."